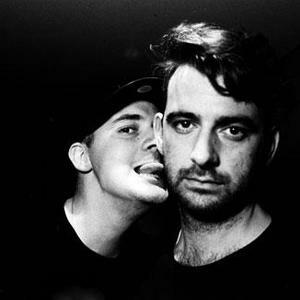 Modeselektor is an electronic music band formed in Berlin, featuring Gernot Bronsert and Sebastian Szary. The group draws heavily from IDM, glitch, electro and hip hop. Modeselektor produces all its material with self-developed software in Max/MSP and MIDI controllers. The group members met in 1992 in Berlin with group member Szary performing live acid house music at illegal underground parties. Both soon joined forces and began creating music under the moniker Fundamental Knowledge. The group members met in 1992 in Berlin with group member Szary performing live acid house music at illegal underground parties. Both soon joined forces and began creating music under the moniker Fundamental Knowledge. In 1996 the group renamed to Modeselektor, a name taken from a function on the Roland RE-201 Space Echo analog delay effects unit. In 1999 Modeselektor signed its first remix contract and began working with Pfadfinderei, a Berlin based VJ and design collective. In 2000 Modeselektor met Ellen Allien, making Bpitch Control their home label. Modeselektor has also been involved in collaborative efforts; Moderat - a musical collaboration between Modeselektor and Apparat, Pfadselektor - a music/visual collaboration between Modeselektor and Pfadfinderei, and with Rhythm & Sound's Paul St. Hillaire. They have produced sound installations at the Centre Pompidou in Paris and lectured at the Merz Akademie in Stuttgart. Modeselektor is a favourite group of Thom Yorke (Radiohead frontman), who has recommended their albums in interviews and included the song Silikon (from their 2005 LP Hello Mom! and featuring vocalist Sasha Perera) in a publicly available iTunes playlist. The follow-up to Hello Mom! was Happy Birthday! which saw Paul St. Hilaire, TTC, Puppetmastaz, Thom Yorke and Max&iuml;mo Park as guest vocalists. Other collaborators included Otto von Schirach, Siriusmo, and Apparat.